• A Cognitive Model for Building "Cognitive Tutors"
To build learning environments that can provide tailored assistance to learners during learning activities, a popular solution is to model the cognitive processes of learners with a cognitive model. It allows a tutoring system to closely follow the reasoning of learners to then generate tailored assistance. This is the idea originally proposed in the Cognitive Tutors by Anderson et al. (1995). However, their cognitive model can be improved in several ways. and incorporating ontologies for improving reusability of knowledge and building glass-box learning objects (see project 3) . 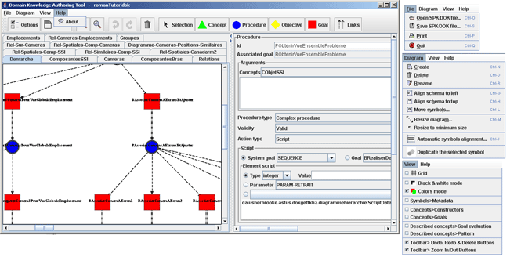 a model-tracer that use the interpreter for determining what a learner is actually doing according to the knowledge structures. 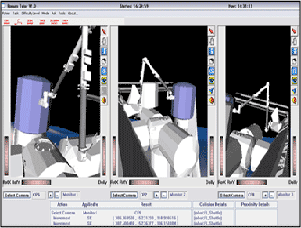 RomanTutor, a tutoring system for learning to operate the Canadarm2 robotic arm (figure 1) . 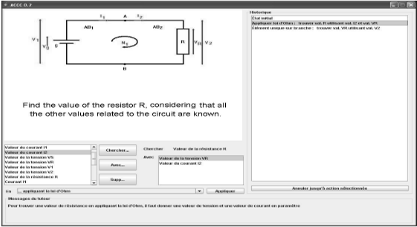 an early version of the ACCC tutoring system for DC Circuit Analysis (figure 7) (A. Abdessemed, J.F. Lebeau et al., 2006). Fournier-Viger, P., Nkambou, R. & Mayers, A. (2008). 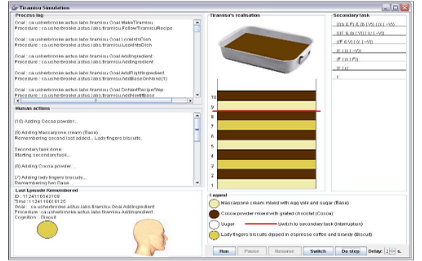 Evaluating Spatial Representations and Skills in a Simulator-Based Tutoring System. IEEE Transactions on Learning Technologies, vol. 1, no. 1, pp. 63-74, Jan-Mar, 2008. Fournier-Viger, P., Nkambou, R. & Mayers, A. 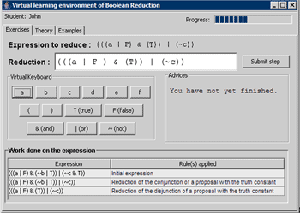 (2008), A Framework for Evaluating Semantic Knowledge in Problem-Solving-Based Intelligent Tutoring Systems. Proceedings of the 21th International Florida Artificial Intelligence Research Society Conference (FLAIRS 2008). AAAI press, pp. 409-414. Fournier-Viger P., Najjar, M., Mayers, A. & Nkambou, R. (2006). 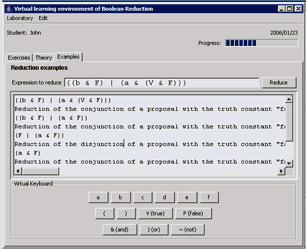 A Cognitive and Logic based Model for Building Glass-box Learning Objects. Interdisciplinary Journal of Knowledge and Learning Objects, Vol. 2. pp: 77-94. The RomanTutor is a software program developped by the GDAC and PLANIART research team with the logistic and financial support of the Canadian Space Agency, FQRNT and the NSERC. Copyright � 2005-2019 Philippe Fournier-Viger. All rights reserved.